Resurrecting my old ONM thread I thought it'd be a good time to share some of the memories of the past again about what games defined your retro consoles for you. Not necessarily the 'big hitters' of the time, but games that were special to you or you'd enjoyed for other reason which made them especially memorable. I'm aware that a lot of you here now were part of the ONM days but there's quite a few who weren't and it'd be interesting to here their thoughts. As its retro week, I'm not talking about last generation consoles; so no Wii, X360, PS3 or DS. You can go as far as GameCube, PS2, Xbox or GBA. There's no weekly or daily topic so feel free to share the memories of games on the console of your choice. I don't think I've ever played a game so much since this was released; either solo, with my brother of with mates. Completing the story on 00 Agent difficulty took some effort but I managed it several times when I wanted a challenge, but the real test was unlocking those cheats - especially Invincibility on 00 Agent in the Facility. I did it with many, many tries using many, many curse words and it still stands as a personal achievement considering you were relying on characters being in certain spots (chosen randomly by the CPU) to be in with any chance of success. Add multiplayer on top and it was literally the game which kept on giving. Facility with rockets on Licence to Kill was the favourite of ours, oh and Odddjob was BANNED, COMPLETELY BANNED. Quite possibly the most hilarious and dirty game I've played. It follows the bad day of Conker who's drunkenly stumbling home after giving a drunken excuse to his girlfriend Berri in the pub on why he's going to be late. Its the rudest, crudest game you'll ever be likely to play, so rude at the time that Nintendo refused to publish it - that job thankfully fell to the now defunct THQ who I'll forever remain thankful to. Gore, toilet humour, language and an adventure that you could only dream of, and some things you can't! It ripped off the movies left, right and centre and pulled it off amazingly. Again it had tight level design and very responsive controls that made it a joy to play from start to finish. Throw in a few multiplayer modes, one in particular where player 1 took control of a caveman tribe trying to get back to their lair and player 2 took control of the T-Rex trying to eat them, and you get a very well rounded package that offers hours of entertainment. Did I mention it was also the very first game that fully animated a character's facial expressions, something that even the PS2 couldn't do at the time? If you haven't played it, then you really should. Its a riot. GoldenEye is definitely one of the defining games of the N64 so great choice there. 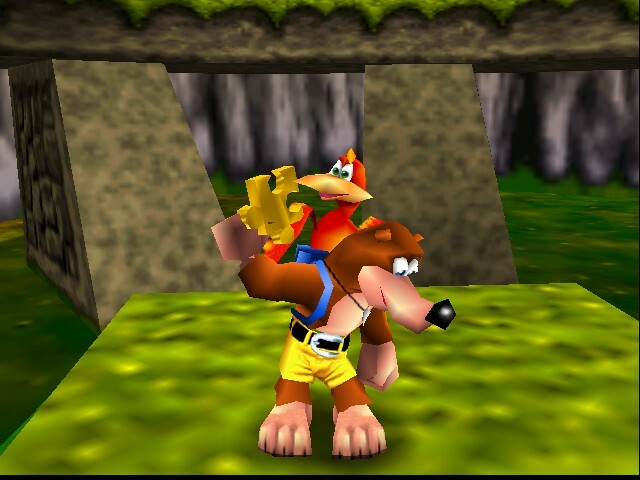 Personally while I prefer Banjo-Kazooie I would admit that Super Mario 64 is probably the more important and defining platformer on the console, and probably the most defining game of the generation - it began the era of 3D games in many ways. I think Banjo-Kazooie then took Mario 64 and did almost everything it had done better, but Mario 64 laid all of the foundations and is still a brilliant game. The N64 also can't pass without mentioning Ocarina of Time. The obvious choice - it's often claimed to be the best game of all time - but so very deserving. I think it is definitely one of the best games of all time, and while Mario 64 seemed to be the big hello for 3D games, Ocarina of Time was also very important in showing just what could be done with a 3D world. N64 is probably one of the easiest consoles to name the defining games, so good place to start. Goldeneye 007 is absolutely up there for taking the first person shooting genre into the "mainstream" on consoles, and of course the MULTIPLAYER aspect of it too. And then Super Mario 64 is right up there too for basically defining 3D gaming. Almost every other gaming franchise from that point on made an attempt into 3D and Super Mario 64 was the measuring stick for all of them in that console generation. 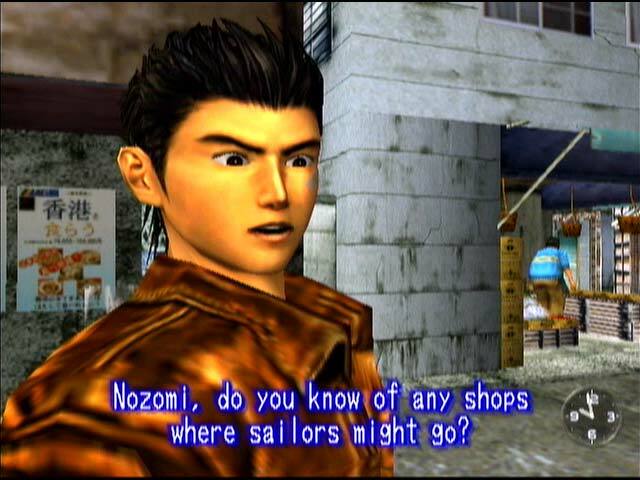 For me it's the game that both defined the ps1 and The whole videogames that can have plots that rival a tv or film. Up to that point most of the games I played had the simple plots of rescue the princess or kill the bad guys with simple cut scenes that tell a Simplistic story that all changed with mgs with it's dramatic James bond style intro and plot that could have been a movie in it's own right the fact that I got to control snake and guide him on his mission through shadow Moses blew my 8 year old brain with how complex the game was. Of course now Kojima has pushed it further and there's other games thatpush the cinematic immersion in games. How do you improve the best game on the PlayStation? 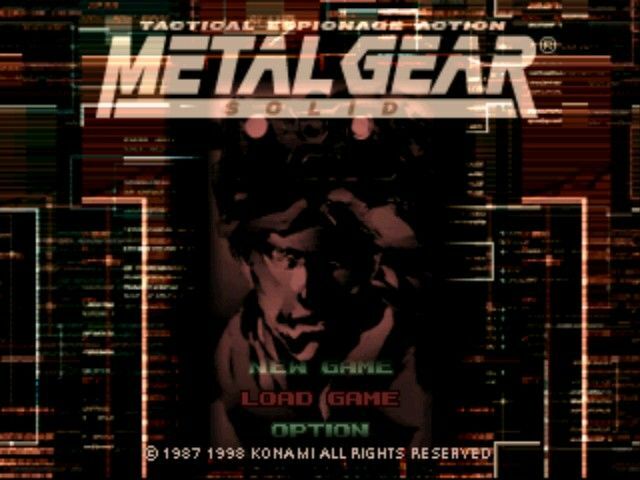 Strike a deal between Nintendo and Konami and re-master the entire game; re-record all the voice overs to take advantage of the GameCube's superior sound tech, hire a big Japanese film director to create some stunning in-game set pieces and take the best bits of Snake's moves from MGS2 and incorporate it into this. A simply stunning re-master that deserved every single bit of praise it got from fans and critics alike. I've played this countless times and I love it, it never gets old. 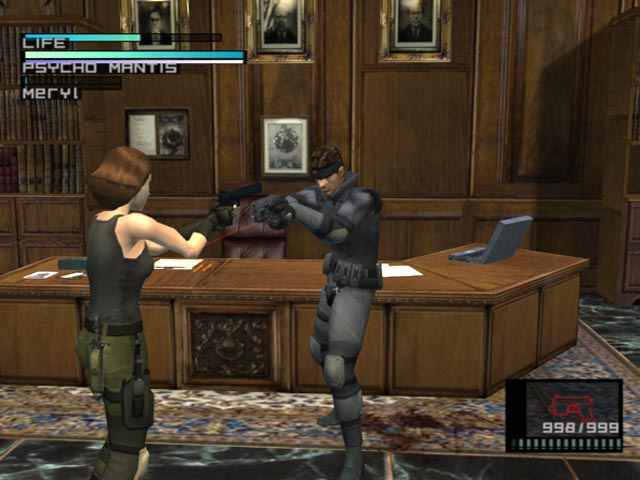 It still looks great and plays like a dream - the only thing that can hinder it a little is the GameCube's pad not having a Select button which makes you have to press Start and A together to make or receive a codec call, thankfully that's just a minor irritation at first which is soon forgotten about. And just how good of a title is MGS:TTS? Take a look on eBay or in second hand shops on the occasion it makes an appearance where you can expect to fork over £50+ for it. Another re-make on the list but also another one of the GameCube's finest and most defining games. 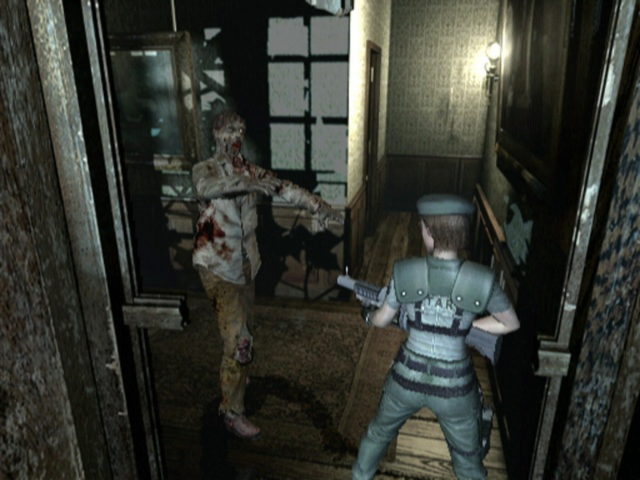 Both Capcom and Shinji Mikami went back to the drawing board and finally created the verison of Resident Evil that both wanted to forst time around but couldn't due to the capacity of the original PlayStation and what it could handle. What us 'Cube owners got was a complete overhaul - gone were the awful (but classic) dialog, you know what I mean, and the equally cheesy movie sequences and in came a new script and FMV cutscenes that really helped to make the game. New puzzles were added and so were some enemies, I'll never forget how much I very nearly sh*t myself the first time I encountered a red-dead - so much so that even now, all these years later I still make sure I burn every one I come across before it has a chance to...y'know. Ahhh TimeSplitters, what can we say about you that hasn't already been proclaimed? Nothing, because it's that damned good. If you haven't played it, where on Earth have you been? And why are you still here instead of playing it? It has a truly amazing campaign that has you bouncing around time from the Wild West to the distant future. Free Radical done such a fantastic job with it that you really felt like you were in the era in which every level was set - such was their attention to detail. Then once you were finished with the single player, glorious, glorious things awaited in multiplayer. It's probably the most comprehensive and crammed multiplayer mode you'll ever play in any game. Stages and characters galore to play and unlock and it has more game modes than you can shake a stick at. There's no such thing as 'one quick game', or 'just five more minutes', talk like that and you'll still be there five hours later.